There is a lower frequency of Earth that Gaia will “let go” as She releases her planetary body from the vast restrictions of the 3D Matrix. This Matrix was created during the demise and fall of Atlantis when Earth was in danger of total destruction. The 3D Matrix served like a “net” to catch Earth as it plummeted into lower and lower frequencies. Unfortunately, the net that rescued Earth also entrapped Her. Then, slowly, the lower frequency “net” absorbed into Gaia’s planetary body and penetrated deep into Her planetary body. Only Gaia’s core, which was protected by the Lemurians of Inner Earth, was safe from the third/fourth dimensional frequency of the very 3D net that had served to rescue Her. Just as humans who have had a grave injury to their body, for example their leg, the leg that sustained that injury may forever be weaker than the leg that was not injured. That is, “forever” until they flash into Lightbody. Once the person flashes into Lightbody their Lightbody leg, which resonates to the fifth dimension and beyond, replaces their physical leg. In the same manner, when Gaia flashes into “Light-planet,” which She will, the net of the 3D matrix, will be released. The release of that which was once protection is very common in nature. In fact, it is a vita component of Earth’s ecosystem. The flower protects the fruit, then it falls away and the skin of the fruit protects the sweet core. The Lemurians and other members of Inner Earth have been protecting the sweet core of Gaia with their constant administrations of unconditional love and harmony with all life. You, our beloved Emissaries, can also protect the sweetness of our dearest friend Gaia with your unconditional love and harmony with all life. As we said in our last transmission, unconditional love is your best defense against the onslaught of the dark ones. They know that their reign is coming to an end. Hence, they are desperate and feel there is nothing to lose. This desperation creates a great fear within them that they wish to project out onto others. This fear makes them careless and erratic, which makes them more dangerous. Fortunately, their fear also makes them more open to change. While they silently ruled behind the scenes, creating wars and backing both sides so they won either way, they were confident and powerful. However, power based on power-over others is totally restricted to the physical plane and the lowest astral worlds of the fourth dimension. Once the ascending inhabitants of Earth expand their frequency beyond the lower astral plane, they are beyond the “reach” of the dark tentacles of the lost ones. You state of consciousness is the “shell” that protects your emerging Lightbody. When “spring” comes, which is soon, you will be able to drop your physical shell and return to your true state of multidimensional Lightbody. Do you understand now why you must constantly surround your self with unconditional loved during this times of great transmutation? There is NO darkness that cannot be healed with unconditional love. Therefore, as you send your love to Gaia to heal Her planetary body, you also send it to the perpetrators of Her planetary injuries. We know that we are asking a lot of you. However, the key to ascension is to unconditionally loving, unconditionally forgiving and unconditionally accepting ALL life. We know that unconditionally loving those who are harming you and your world is a challenge. However, only unconditional love resonates to a frequency of consciousness that is high enough to ignite your Lightbody. Also, you can only send out what you have inside. Therefore, you can only send out unconditional love when you love your self unconditionally. All the negative programing of the dark ones is based on NOT loving your self. When you love your self, even better, when you unconditionally love your self, you are creating the “flower” that protects the “sweet fruit” within you. You NEED this protection because you are all being called into active duty. You are all receiving the Clarion Call into action NOW. We ask that first and foremost you maintain a high state of consciousness. While in a expanded state of consciousness you can clearly receive messages from us, the higher expressions of your Multidimensional SELF. 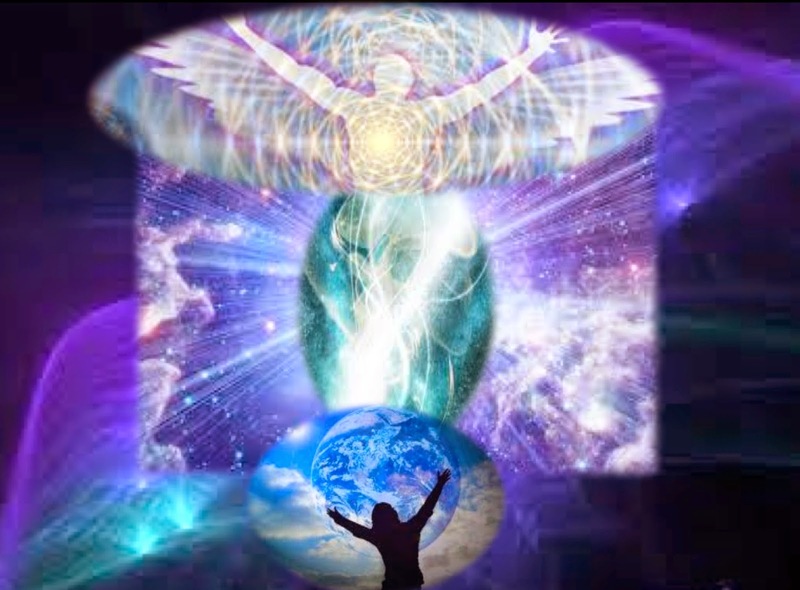 We lovingly invite you to enter into group situations of like-minded people so that you can create a support system to assist you during your vulnerable experience of releasing your own 3D Matrix and flashing into your true, Lightbody. Dear inter-dimensional emissaries of light, please remember that we, your higher expressions of SELF, are infinitely with IN the core of your physical encasement. We ask that you consciously feel the emanations of your Multidimensional SELF as they flow through the core of your spine and into your physical brain. While your physical brain is resonating to the fifth-dimensional flow of your inner Lightbody, you have access to your Multidimensional Mind. While you are connected to your Multidimensional Mind, you are connected to your Multidimensional SELF. We realize that the many hurdles of third-dimensional life can temporarily lower your consciousness. However, we also KNOW that you are US and WE are YOU. Hence, we are in constant connection with you and ALWAYS with you to assist you when you need us. Please use your “inter-dimensional phone” to call us, and we will send you our multidimensional light and unconditional love. The different Modules are organized in a manner in which you do not need to attend them sequentially. Therefore, first time students are warmly welcomed! THEME: Developing a personal, “working” relationship with your Multidimensional SELF. those new to our expanding Multidimensional Leadership Group. …Those who completed Module One will assist leading groups & supporting those new to our expanding Multidimensional Leadership Group. Extensive “kits” containing all the readings, recordings & information will be provided. Thank you, Sue and the Arcturians. Just like to say that those who do not experience ascension symptoms are vibrating high enough that there is no need to experience them. I know this because I have gone through and am going through a lot of them, but I have friends who are as far along or farther along in the process than me and they do not experience ascension symptoms.